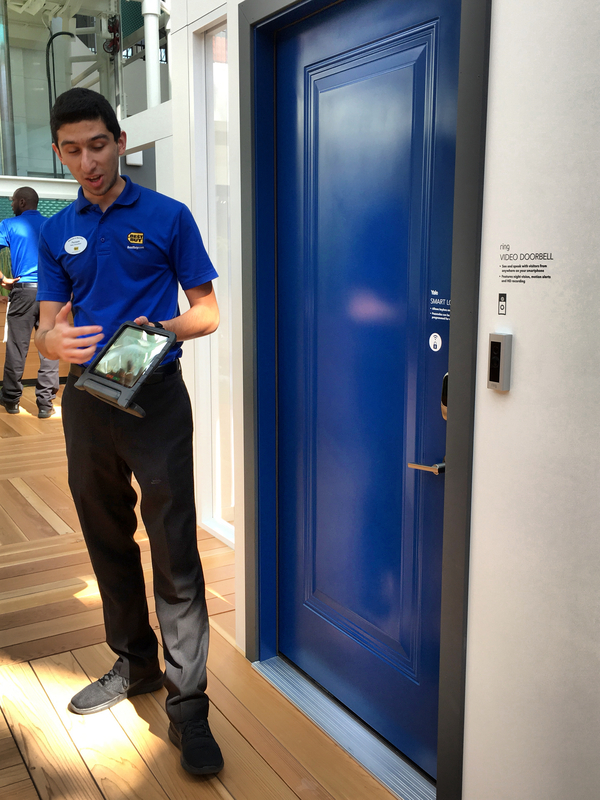 I had the pleasure of being invited to experience the Best Buy Tech Home at North Point Mall in Alpharetta, Ga last weekend. It’s now open to the public, is completely free, and well worth the visit! It’s located in the Center Court of the mall, and open 7 days a week through Friday, October 14. The first 250 visitors each day get a scratch-and-win card. You can win a gift card or one of many prizes made with Qualcomm technology. Sadly, I didn’t win anything, but my friend Winona at Southern Family Fun won a gift card! 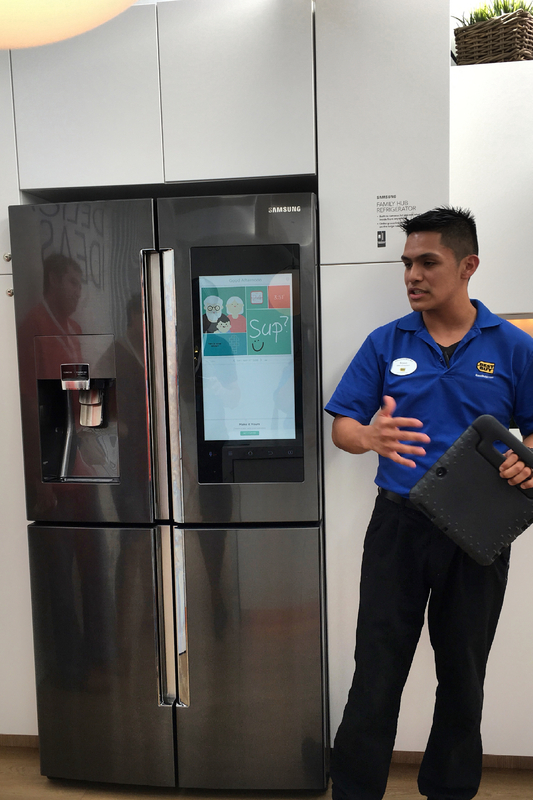 You can also take a survey at the end of your tour for a chance to win a $10,000 Gift Card, or a Samsung SmartThings smart home collection, Samsung dream kitchen or Samsung 55″ 4K Ultra HD TV. 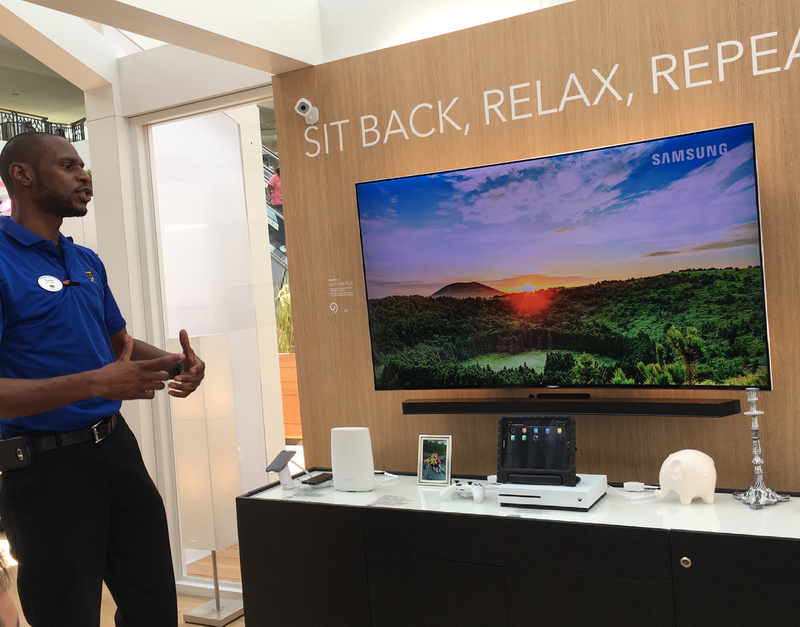 So what is the Best Buy Tech Home? 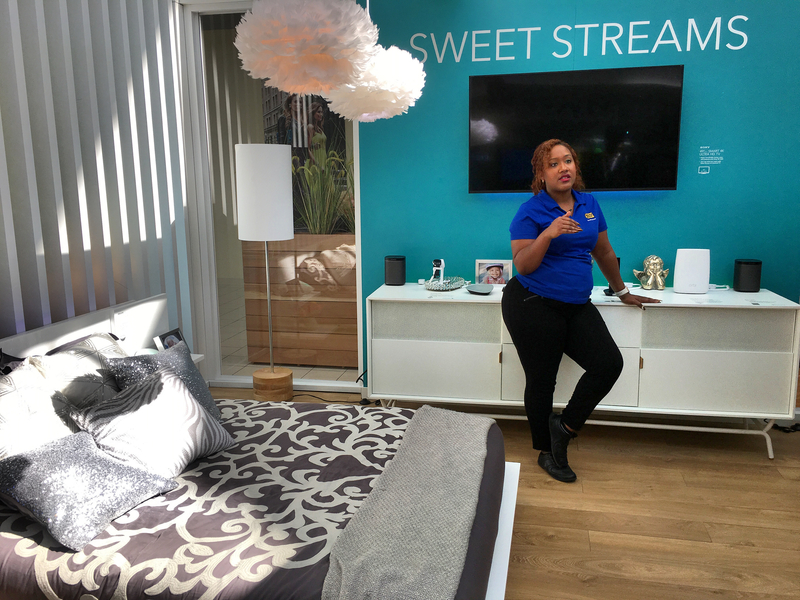 It’s a pop up ” smart house” where you can discover all the ways new technology can make the modern home more convenient, with live demos and Best Buy experts on hand to show you how to bring your own connected home to life. If you’re a tech-lover, you will feel like a kid in a candy store. This smart-house is jam packed with so many goodies. As for me, I felt like Fred Flintstone visiting the Jetsons. It’s amazing to see the strides that technology has made and I can’t wait to update my home. You can request a Free In-Home Consultation. An In-Home Advisor will come to your home to discuss your needs and provide a customized solution. I have requested one and will be updating you with the results in a future post. First, we learned about the Ring Wifi Smart Video Doorbell. It does a lot more than I expected! Then we met Chip. If you’re not into real-life pets (for a variety of reasons) then Chip, the Robot Dog is perfect for you and your family. Besides teaching responsibility and being entertaining, Chip can be your guard dog. 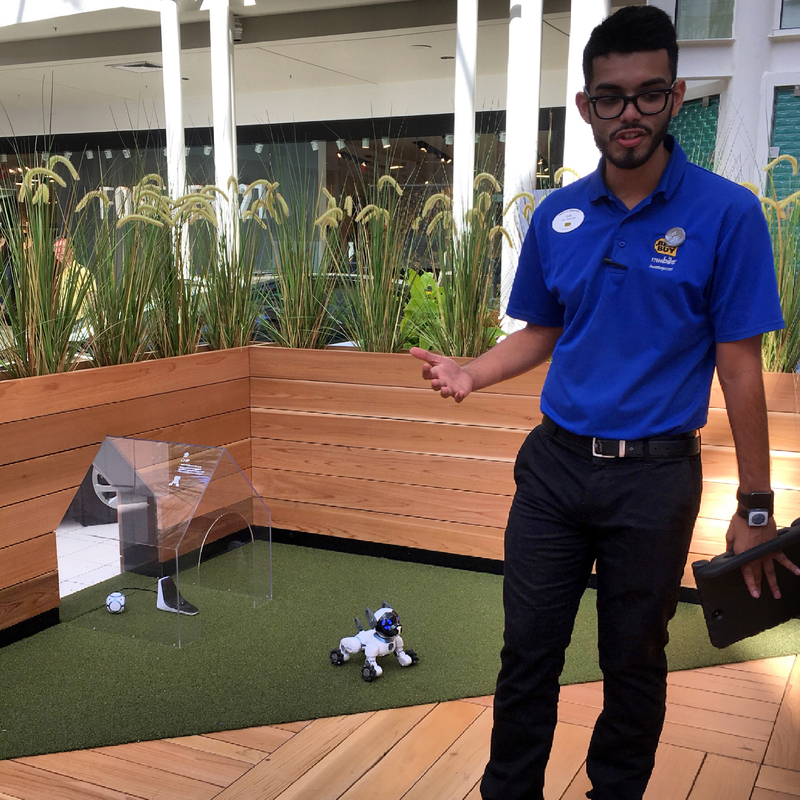 You have to visit the Best Buy Tech Home to see him in action! 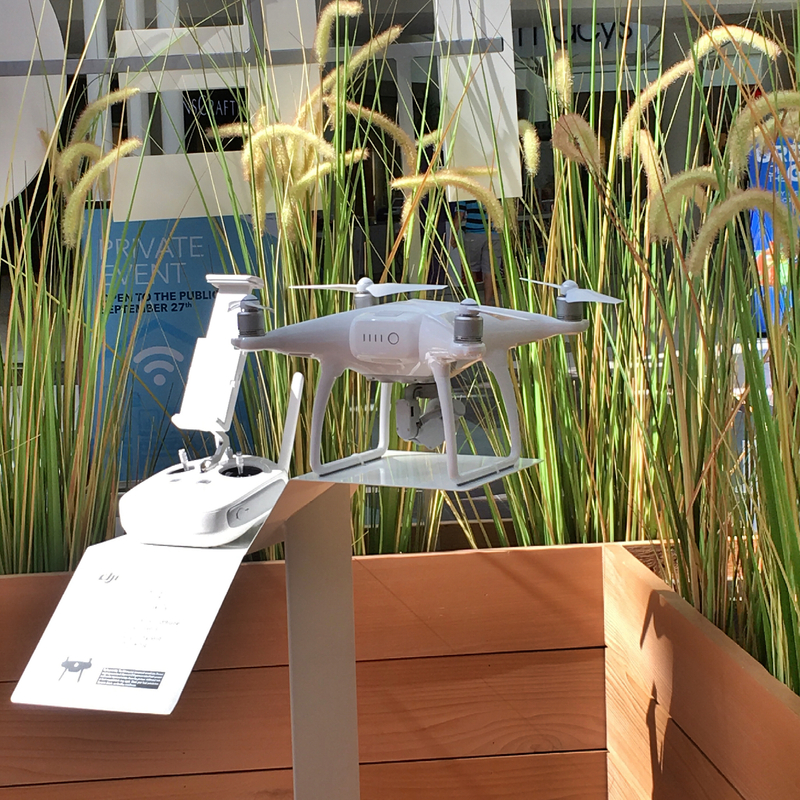 We also learned about Smart Pet Feeders, Outdoor Wireless Wi-Fi Security Cameras, and Drones, which is most likely on every husbands’ Holiday wishlist. 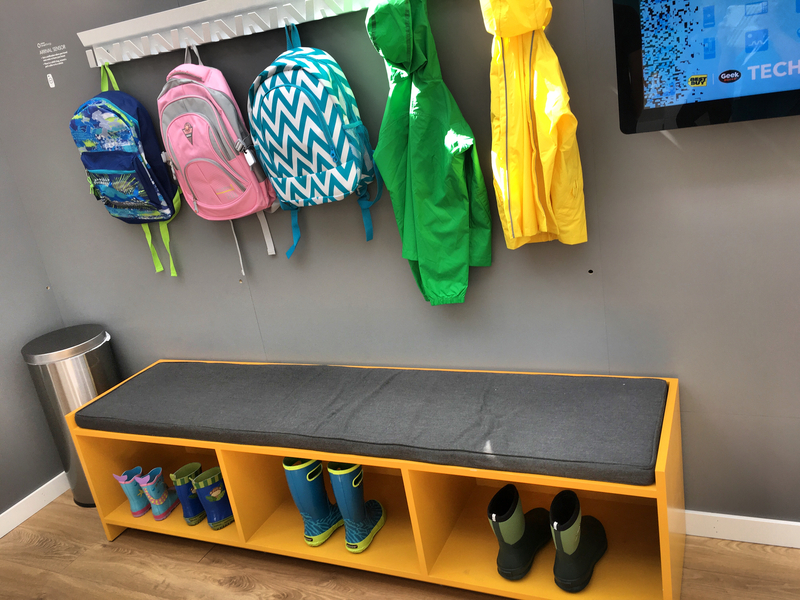 If you’ve got kids, you’ll really appreciate this smart center. There are smart sensors, smart outlets, motion sensors, and security cameras – all to keep your kids safe and keep you notified and alert. In the bedroom, take the “Universal Remote” to a whole other level by controlling your lights, music, tv and more from one device. In the Living Room, you can learn about all the smart devices to take your movie viewing to another level. You can also learn about smart thermostats, wireless cameras, audio, lighting and more. In the home office, you can learn how to be more productive and keep a clean workspace with smart devices. 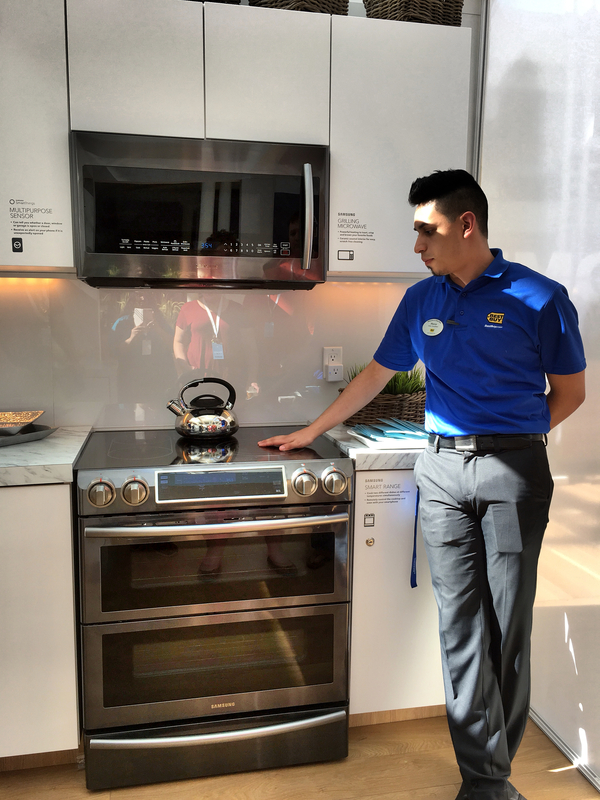 The Kitchen is my favorite room in the Best Buy Tech Home and I wanted EVERY SINGLE THING in there! 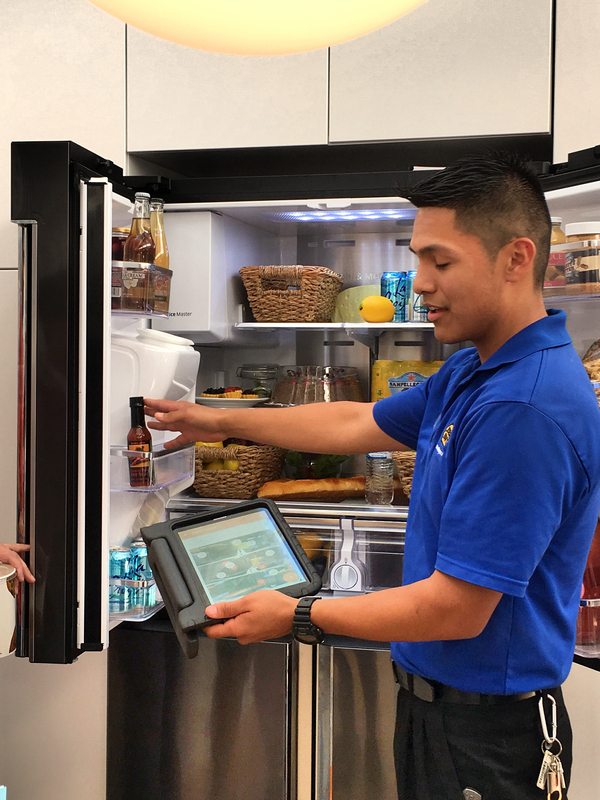 Check out this Smart Refridgerator! Download apps, listen to music, leave messages and more. It even has cameras INSIDE! It can help with grocery shopping , so you can see what you already have and what’s expiring soon while at the store. I’ll be using it to see who ate the last piece of pie, or decided to leave an empty carton on the shelf. 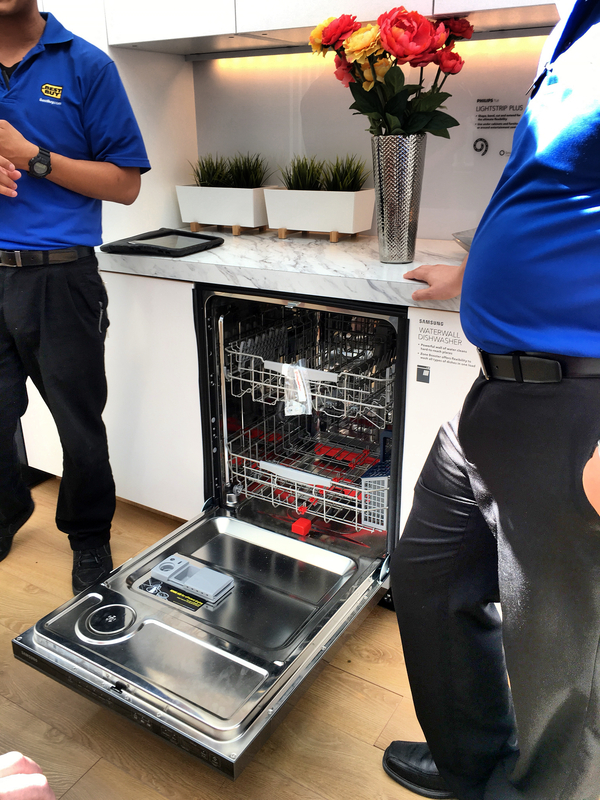 This smart dishwasher lets you wash delicate china and hard-stained pots on the same rack. This stove not only allows you to cook two dishes at two different temperatures simultaneously, you can use your smartphone to adjust the cooking time, temperature or turn the oven off. 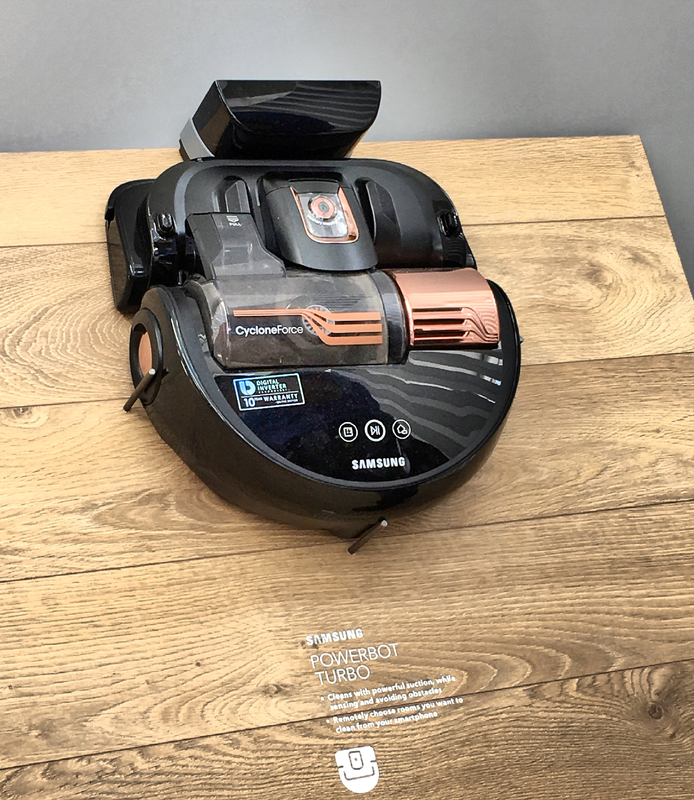 This smart vacuum is the only vacuum you will need. 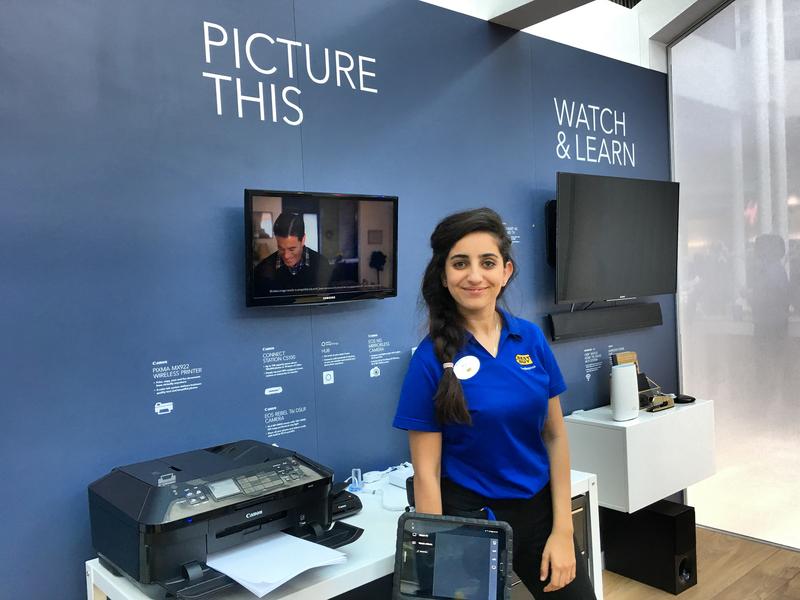 There are so many AMAZING things at the Best Buy Tech Home. I’m already envisioning all the appliances, gadgets, and devices in my own home. 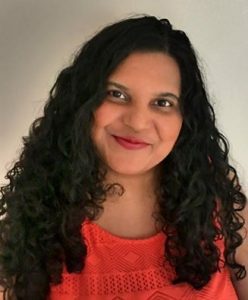 I can’t wait to meet with a free in-home advisor who will answer all my questions and help develop a personalized plan to add to and optimize my home’s tech setup. They say no job is too big or too small. From consultation through installation, my in-home Advisor will be there to guide me. I am banking on that because I am a little tech-challenged, but I can’t wait to get started! 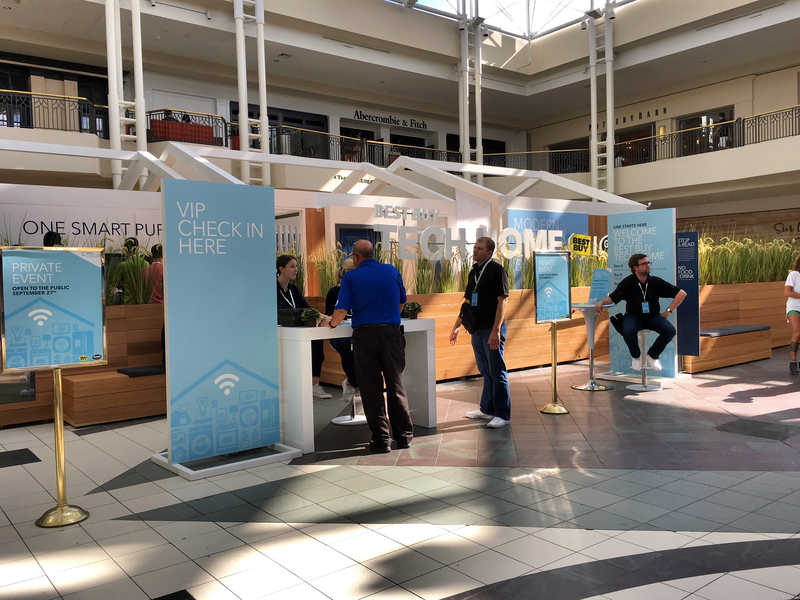 Head on over to Alpharetta’s North Point Mall, the only GA location with a Best Buy Tech Home, and take a tour by October 14, 2016, to see these devices in person and enter to win great prizes. Come back and let us know what your favorite devices are!